Extremely close to the train and ferry, easy transportation. Playground within sight and public beach within a short walk. Perfect for our family of four. 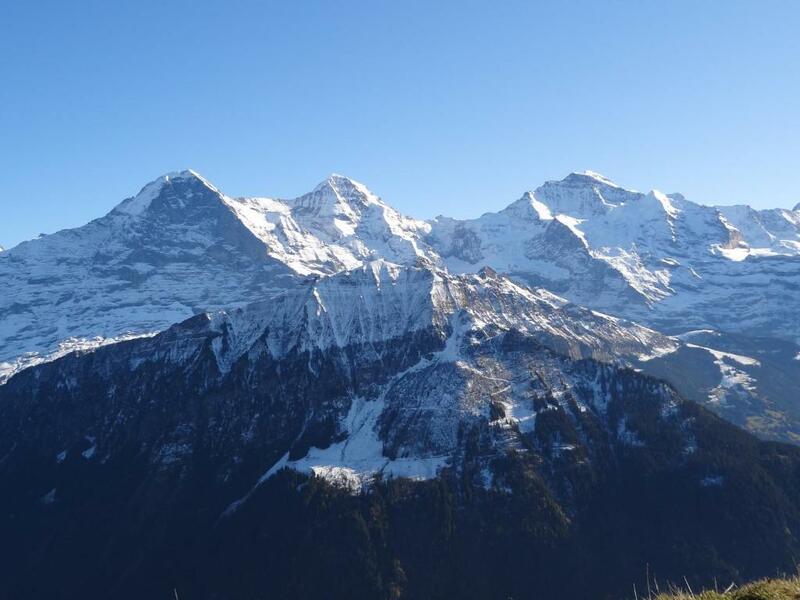 Able to make meals and save a tremendous amount while enjoying Switzerland’s amazing views. Host was very friendly, gave us brief tour in the apartment, appliances and some area maps. Apartment view is awesome to Interlaken lake, even though it is little bit far around ten minutes walking. The kitchen facilities, dining and the cup-boards in the room are so convenient. The pool and sauna are good and well maintained. The hosts are friendly and helpful. The location is conveniently connected to Interlaken OST by bus. Free bus pass made available by the hosts. The ferry jetty is also near by. Daily amenities can be fetched from the grocery nearby. everything! The house is located beside the lake just in front of snow mountain peaks, rooms have balcony with view. train station is just downstairs, and the owner prepared us train tickets for interlaken connection for all the days we were staying. the house is well kept, equiped with everything. staff is nearby and very helpful, we are all thankful. 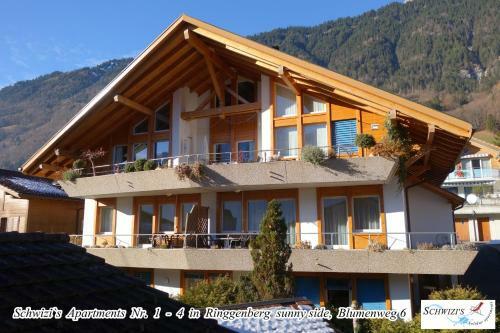 Lock in a great price for Schwizi's Apartments – rated 8.1 by recent guests! 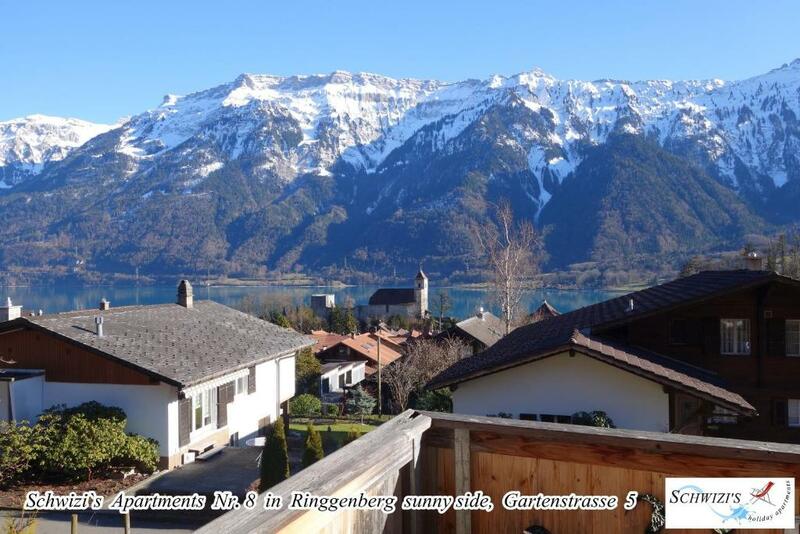 Enjoying an excellent position in the village center of Ringgenberg and Niederried, Schwizi's Apartments offer free WiFi and free parking. The 18 accommodations units are in 2 different locations and all have a fully equipped kitchen including a tea/coffee maker and a flat-screen TV. Schwizi's Holiday Apartments Niederried offer fully furnished apartments in Niederried; each unit is south-facing and has a spacious balcony with lake views. Schwizi's Apartments in Gartenstrasse and Blumenweg are set on a slope. 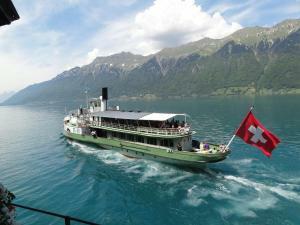 A pick-up service from the Interlaken Ost Railway Station is available on request and at additional cost. When would you like to stay at Schwizi's Apartments? 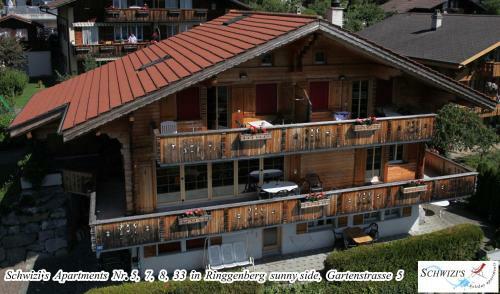 This apartment is located at 3 Gartenstrasse, 3852 Ringgenberg. 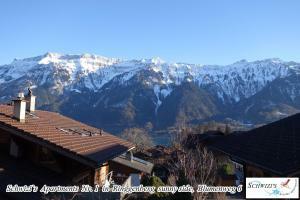 This property offers apartments on the slopes of Ringgenberg. It is 5 minutes’ walk from the center of Ringgenberg. 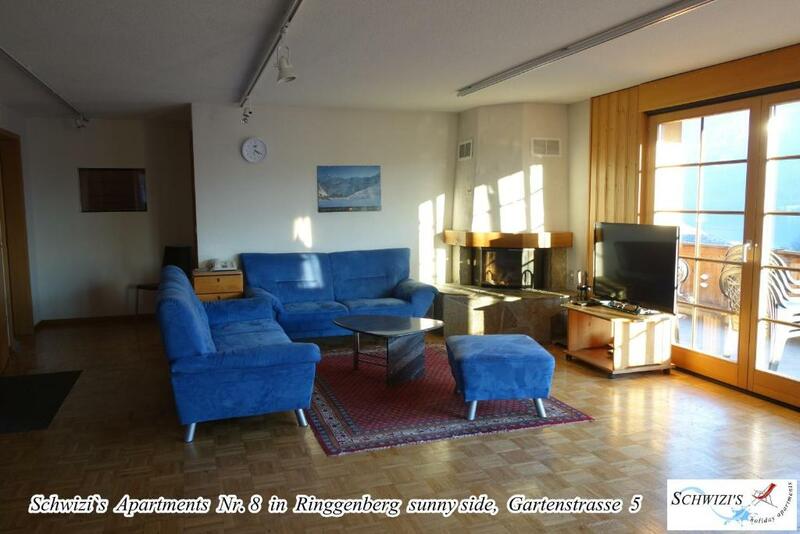 This apartment is located at 5 Gartenstrasse, 3852 Ringgenberg. 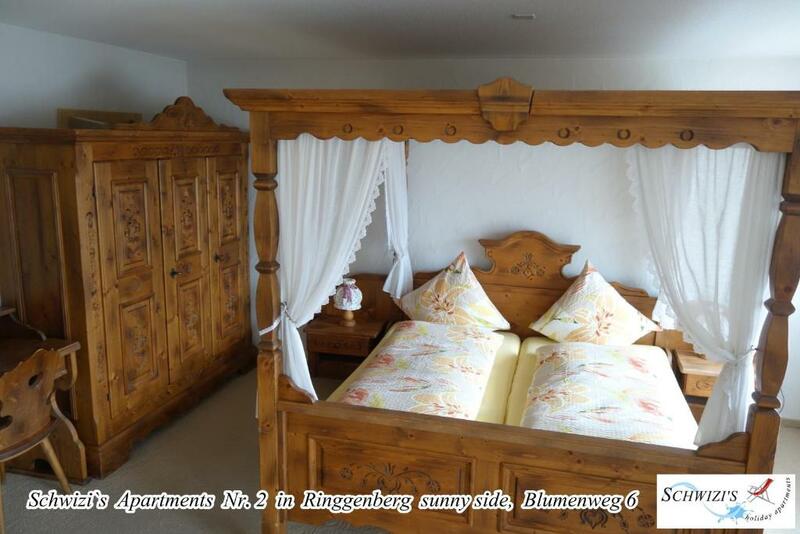 This apartment is located at 6 Blumenweg, 3852 Ringgenberg. This property apartments on the slopes of Ringgenberg. It is 5 minutes’ walk from the center of Ringgenberg. This apartment is located at 18 Hauptstrasse, 3853 Niederried. This studio is located 18 Hauptstrasse, 3853 Niederried. This studio is located at 18 Hauptstrasse, 3853 Niederried. This studio is located at 6 Blumenweg, 3852 Ringgenberg. House Rules Schwizi's Apartments takes special requests – add in the next step! Schwizi&#39;s Apartments accepts these cards and reserves the right to temporarily hold an amount prior to arrival. Schwizi's Apartments accepts these cards and reserves the right to temporarily hold an amount prior to arrival. Please note that check in is made at Gartenstrasse 684e, Ringgenberg. Please let Schwizi's Apartments know your expected arrival time in advance. You can use the Special Requests box when booking or contact the property directly. In addition, please also let the property know the exact number of arriving guests in advance. Contact details are stated in the booking confirmation. Please inform Schwizi's Apartments of your expected arrival time in advance. You can use the Special Requests box when booking, or contact the property directly using the contact details in your confirmation. No sleepers & not really clean dishes.